Thousands of motorcyclists are gearing up for the 31st edition of the annual “Rolling Thunder” ride through Arlington and D.C. in a few weeks. Bikers with the veterans group are scheduled to gather in Arlington once more this Memorial Day weekend, May 25-27. The Rolling Thunder headquarters is again set for the Hyatt Regency Crystal City, with events planned throughout the weekend. 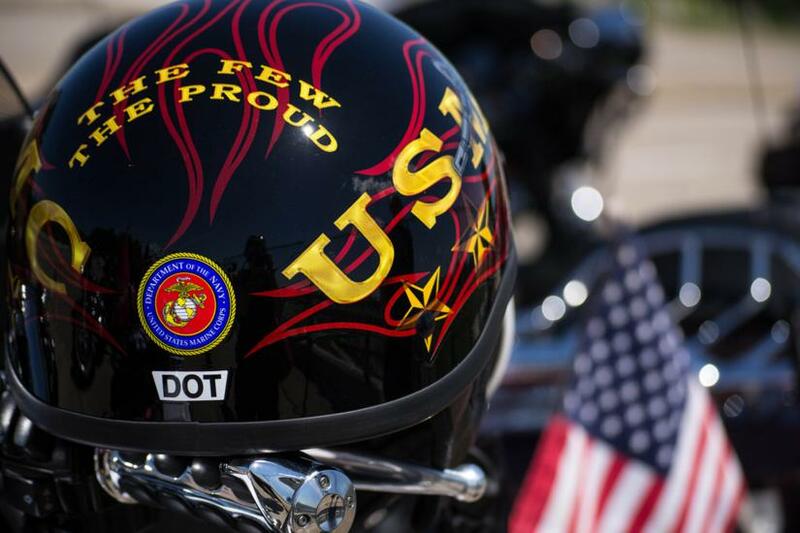 On Friday, May 25, riders will roll into town and then gather for a “Blessing of the Bikes” at the National Cathedral and a candlelight vigil at the Vietnam Veterans Memorial. Sunday, May 27 will feature the main event, as bikers convene in the Pentagon parking lots early that morning before riding across the Memorial Bridge into D.C. for a rally, which will include speakers and musical performances around the Reflecting Pool. Country artist Rockie Lynne is set to headline the concert. The group’s mission is to raise awareness about American prisoners of war and service members who remain missing in action, according to the Rolling Thunder website. Anyone looking to celebrate Rolling Thunder’s arrival can also gather for free outdoor concerts hosted by the Crystal City Sports Pub for the entire weekend. Come celebrate Memorial Day weekend and Rolling Thunder on 23rd Street! We’ll have live music, cold beer and good food all weekend from 4-8pm on Friday, Saturday AND Sunday. The legendary Roadducks will be jamming all weekend, so come by for a bit, or party for three days straight. Either way, a good time will be had by all! This outdoor event is FREE to attend and there will be a cash bar and food available for purchase. Rolling Thunder typically causes road closures around Arlington the day of the main rally, not to mention the occasional noise complaint from neighbors. County police have yet to release exact details on the changes in traffic patterns.